Microsoft One Note Training: What Is One Note and What Can It Do? If you’re like most people, you weren’t aware that Microsoft OneNote even existed, much less what it could do. This application is probably the most ignored and most underestimated of all of those found within the Microsoft 2010 suite. However, it is definitely worthy of your attention and more than that – take the right MS OneNote tutorial and you will have mastered an awesome tool. OneNote is basically a digital notebook, one that allows you to store notes and information in one centralized location, but also easily access it and share it. With OneNote you can capture and store text, images, video and audio notes. Once you share a block of notes, it may be simultaneously edited among different users. Linked Notes – Most people use OneNote to jot down notes and thoughts, but also to take notes while conducting research. With the Linked Notes function, you create a page and then link a Word document, an Excel spreadsheet, PowerPoint presentation, and even an Internet Explorer page to this OneNote page. Every note you make in it is linked to whichever document you were browsing. Dock view – Say you’re working on a Word document. If you click on the Lined Notes button, a minimized version of OneNote appears on the lower right hand side of the screen. This allows you to quickly link any notes you make to this document, but that is not all. Click on the Dock button located on OneNote’s Quick Access Toolbar (the one above the ribbon) to open a mini version of OneNote to take notes as you view other documents. You can’t drag other windows over this OneNote window so it’s always in view. In this ribbon, you will find everything you need to format your notes, apply styles, and add tags, among other things. But there are so many other features and functions to learn! OneNote tutorials teach you all of these and more. So now you know you need a Microsoft OneNote tutorialto fully exploit its amazing capacity for quick note-taking and sharing. 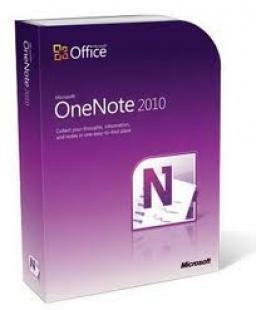 Luckily, TutorPro LTD offers a complete Microsoft OneNote 2010 tutorial. A part of the Microsoft Office 2010 course, this Microsoft Word tutorial is comprised of 10 modules. Each of TutorPro’s course modules includes audio and exercises that are specifically targeted to help you meet your Microsoft OneNote training goals. TutorPro’s simulated environment provides learners with a realistic course setting. Sign up for TutorPro’s Microsoft OneNote tutorial and use OneNote like you never have before.